The show is also available on HBO On Demand, HBO NOW, HBO GO and partners’ streaming platforms. SHARP OBJECTS is an Entertainment One (eOne) and Blumhouse Television production; created by Marti Noxon, who serves as showrunner; based on the novel by Gillian Flynn; Jean-Marc Vallée directs all episodes and co-edits the series. Marti Noxon writes several episodes, as does Gillian Flynn. Executive producers are Marti Noxon, Jean-Marc Vallée, Amy Adams, Gillian Flynn, Jason Blum, Nathan Ross, Gregg Fienberg, Charles Layton, Jessica Rhoades, Marci Wiseman and Jeremy Gold. Additional writers include co-executive producer Vince Calandra, co-producer Scott Brown, and consulting producers Alex Metcalf and Dawn Kamoche & Ariella Blejer. 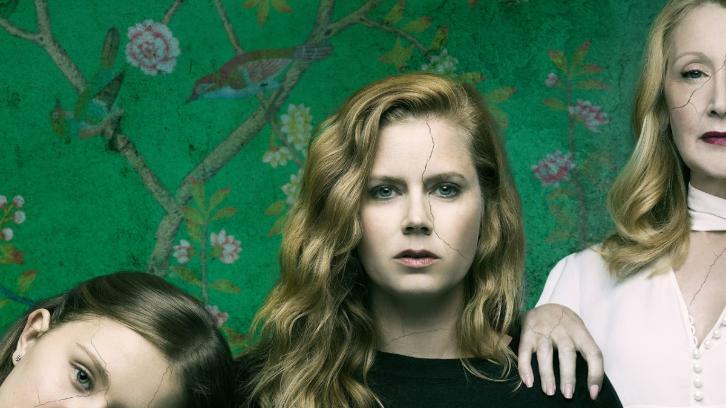 Starring five-time Academy Award®-nominee Amy Adams (“Arrival,” “Nocturnal Animals”), SHARP OBJECTS debuts SUNDAY, JULY 8 (9:00-10:00 p.m. ET/PT), exclusively on HBO. Based on Gillian Flynn’s (“Gone Girl”) bestselling novel of the same name, the eight-episode limited series was created by Peabody winner and Emmy® nominee Marti Noxon (“UnREAL,” “Dietland,” “Mad Men”) and directed by Emmy®, DGA and PGA winner Jean-Marc Vallée (HBO’s “Big Little Lies”; “Dallas Buyers Club,” “Wild”) from scripts by Marti Noxon and Gillian Flynn. Patricia Clarkson (the “Maze Runner” series, HBO’s “Six Feet Under”), Chris Messina (“The Mindy Project,” HBO’s “The Newsrooom”), Eliza Scanlen (“Home and Away”), Elizabeth Perkins (“This Is Us,” HBO’s “Curb Your Enthusiasm”) and Matt Craven (“X-Men,” “Justified”) also star, along with Henry Czerny (“Quantico,” “When We Rise”), Miguel Sandoval (“Station 19,” “Medium”), Taylor John Smith (“Cruel Intentions,” “American Crime”), Sophia Lillis (“It”) and Madison Davenport (“From Dusk Till Dawn: The Series”). SHARP OBJECTS was filmed in Los Angeles and Northern California, and in and around Atlanta. “‘Sharp Objects’ is my first child, my first novel,” says author Gillian Flynn. “I wrote it nights and weekends and holidays with no real belief it would ever be published, because I felt like I had to bring this girl to life, so it holds a sacred place with me. It’s a strange and thrilling thing, bringing text to screen, allowing it to become a new thing while honoring readers’ interpretations too — it’s fun and a bit scary. Says director Jean-Marc Vallée, “It’s curious how we can find beauty in places we wouldn’t expect. How darkness sometimes can become attractive, comforting. This is what happened to me when I read Gillian’s novel. I got sucked into Camille’s head. I was falling for this character. Never met, never seen, nor heard anyone like this before. Observes creator and showrunner Marti Noxon, “When I first read this book, I remember thinking to myself, ‘I have to meet Gillian Flynn – she’s really screwed up like I am.’ This is a story that speaks to a part of women’s lives that we rarely address: our impulse to hurt ourselves and each other. And I feel like Camille is representative of so many women who have continually suppressed the damage that has been done to them throughout their lives, and how in an effort to avoid dealing with the root of our issues we inflict pain onto ourselves, in various forms. Camille Preaker (Amy Adams), a reporter for the *St. Louis Chronicle*, is sent to her rural hometown of Wind Gap by her editor, Curry (Miguel Sandoval), to file a story about two missing girls, one of whom was found dead and presumed murdered. The assignment, which reunites Camille with her overbearing mother, Adora (Patricia Clarkson), stepfather, Alan Crellin (Henry Czerny), and half-sister, Amma (Eliza Scanlen), brings back traumatic childhood memories, including the death of Camille’s younger sister, Marian (Lulu Wilson), when both were schoolgirls. Tormented by her past and seeking refuge through alcohol, Camille joins Detective Richard Willis (Chris Messina) and Chief of Police Vickery (Matt Craven) in following leads around town that might shed light on the fate of the most recent missing girl. Written by Marti Noxon; directed by Jean-Marc Vallée. Written by Gillian Flynn; directed by Jean-Marc Vallée. Camille (Amy Adams) relives a recent tragedy as she struggles to piece together the murders in Wind Gap. Richard (Chris Messina) grows frustrated with Chief Vickery’s (Matt Craven) assumptions regarding potential suspects. A defiant Amma (Eliza Scanlen) shows off her wild side to Camille, while Adora (Patricia Clarkson) admonishes Camille for meddling in the investigation and a town in mourning. Written by Alex Metcalf; directed by Jean-Marc Vallée. Written by Vince Calandra; directed by Jean-Marc Vallée. The show will also be available on HBO On Demand, HBO NOW, HBO GO and partners’ streaming platforms.